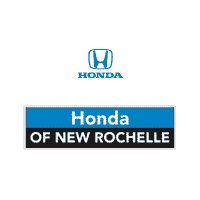 Available Now at the Honda of New Rochelle Showroom! Honda of New Rochelle is excited to introduce Yonkers, NY area car driving enthusiasts to the all-new 2018 Honda Civic Type R. This race-bred machine is the cumulation of over 70 years of Honda racing heritage and innovations. From its 306-hp VTEC® turbocharged engine to its advanced aerodynamics and adjustable performance-tuned suspension, the new Civic Type R was built to outperform the competition. Inside the latest iteration of Honda’s Type R line is a cockpit that puts the driver in complete control of the high-performance powertrain and high-tech infotainment system, thanks to its 6-speed manual gearbox, multiple driving modes and intuitive HondaLink® system. Discover Honda’s latest performance hot hatch for yourself by visiting our showroom in New Rochelle, NY. From its race-bred turbocharged engine to its aggressive styling and soaring rear wing, the all-new 2018 Civic Type R is designed to perform. This highly modern hot hatch delivers over 300 hp and features a lightweight, aerodynamic body and performance suspension that makes it just as impressive in the corners as in a straight line. With its 20-inch black alloy wheels wrapped in high-performance rubber, the Civic Type R stays connected to the road. Inside, the driver feels one with the car thanks to the Type R’s driver-centric layout; you will stay connected to the outside world thanks to its HondaLink® infotainment system, Bluetooth® HandsFreeLink and a Multi-Angle Rearview Camera.